Hey everyone! 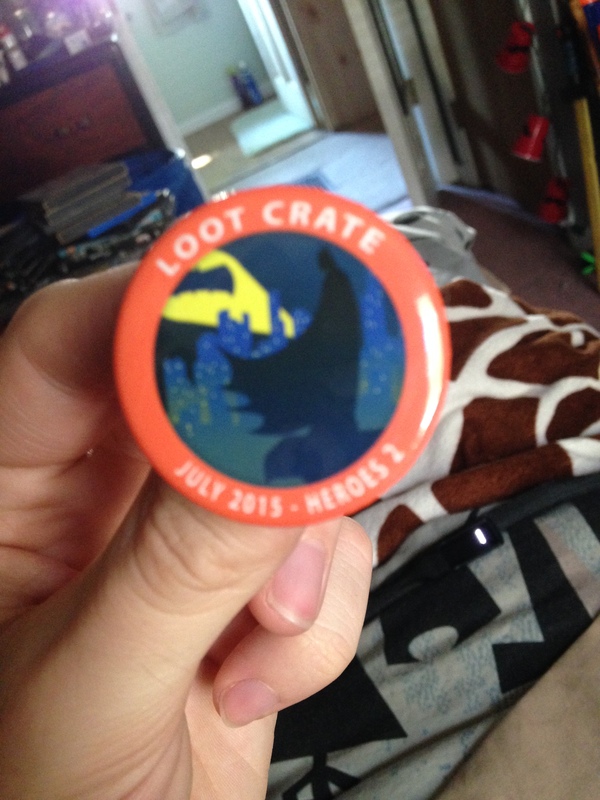 I recently had a birthday in which my mom ordered me a 3 month subscription to Loot Crate!! 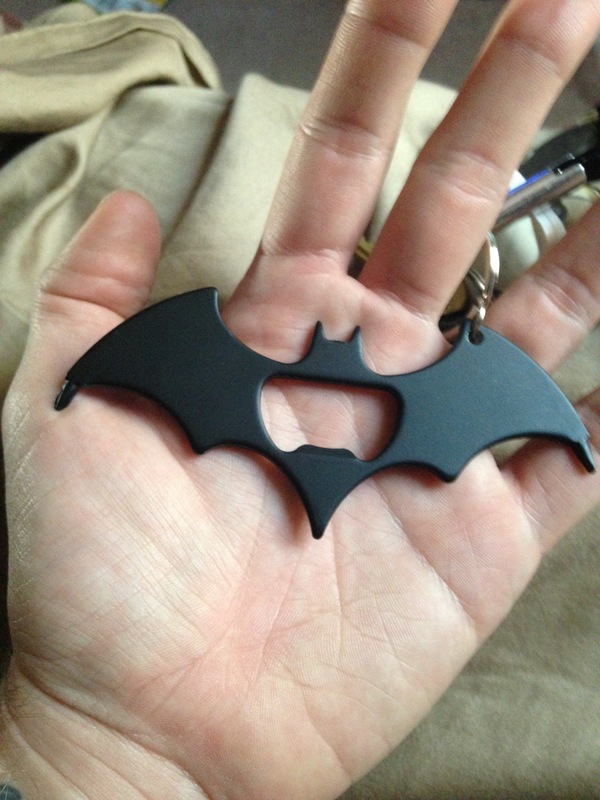 My favorite item in the box was a Batarang multi tool that was a bottle opener, and on either end of the wings was a phillips head and a flathead screwdriver; its also a keychain! 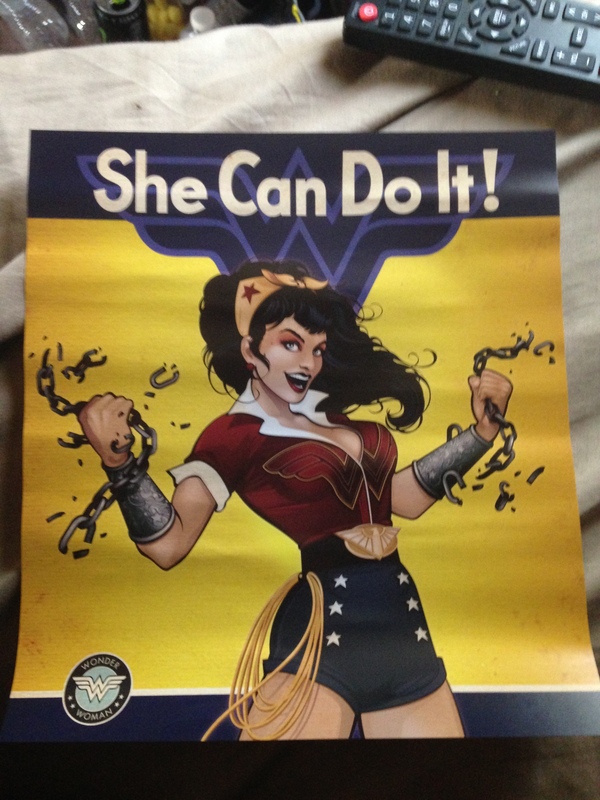 I also got a great poster of Bombshell Wonder Woman as a Rosie the Riveter spoof! 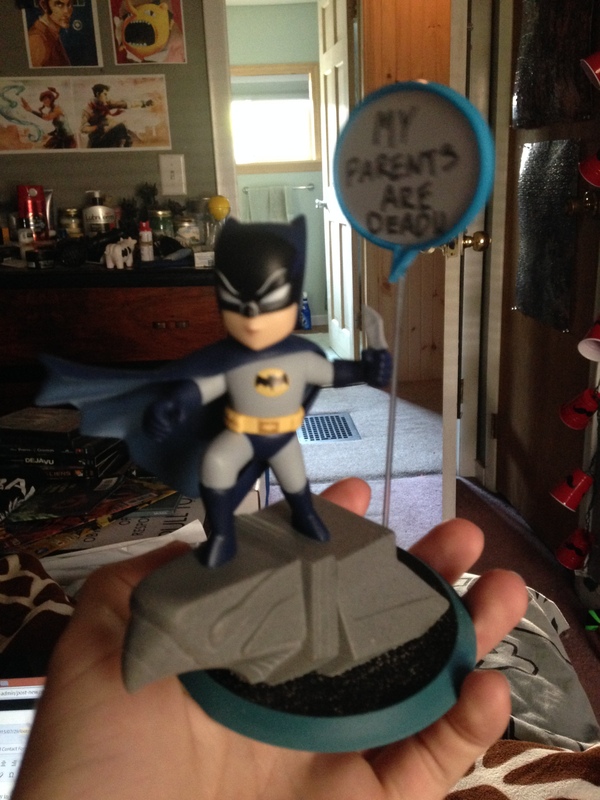 The next thing was this Classic Batman Q-Pop figure with a speech bubble that you can write in. I think I’m hilarious. The picture focused on my hallway, sorry! 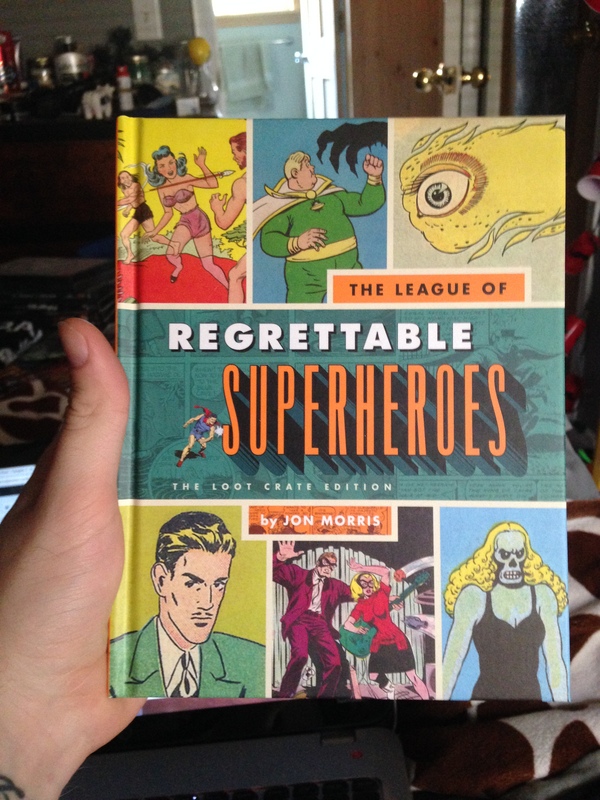 There was also a book called The League of Regrettable Superheroes which is a book full of superheroes which were just so silly and a huge flop, like Doll Man. 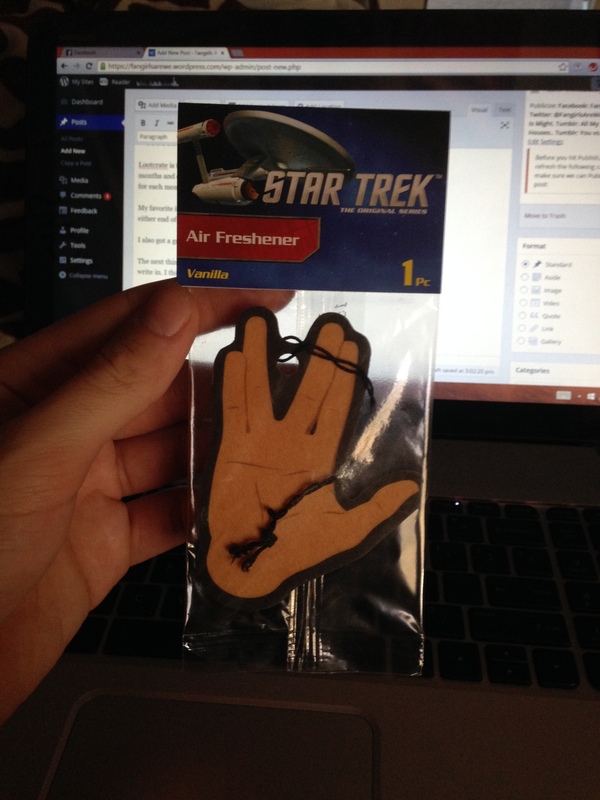 For the car I don’t have, there was a Spock Air Freshener that was vanilla scented! 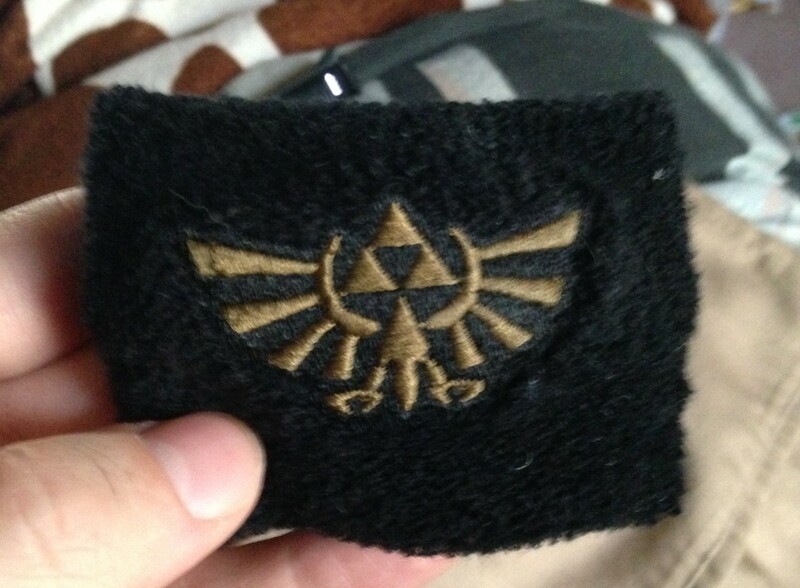 And this super sweet Zelda sweat band that has already had some use in my workouts, even though I’m certain its supposed to be used as a fashion accessory but, I’m not about that sweatband life anymore. And last but not least, they always send a pin with this months theme on it and this one is pretty neat! As an added bonus, the inside of the boxes are usually all this cool! 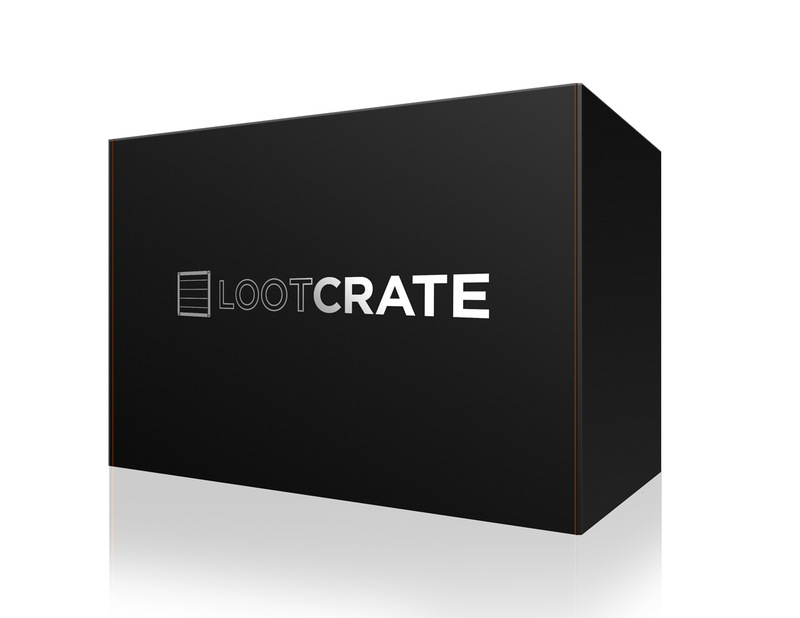 That’s it for this month’s Loot Crate, for the next 2 months at least I will be unboxing my goodies and sharing them with all of you, so stay tuned!